which I am hoping to be helpful for those people who are looking for eyelashes that will fit them the most! To start it off, I am here with Dolly Wink #2 Sweet Girly, which was used in my recent make-up tutorial "Pink Purple Rhapsody Doll"
such as false lashes, eyebrow mascara, eyeliners, and eye shadows! 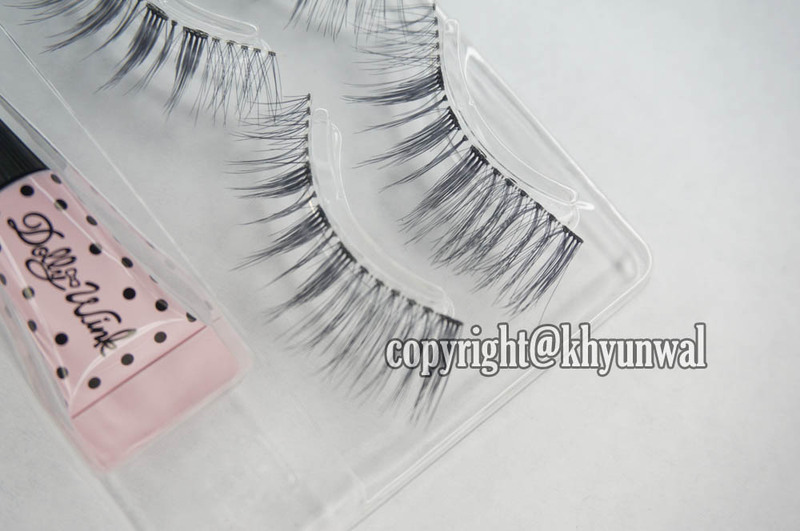 Out of all, false eyelashes are extremely popular and well known for many gyaru girls! I love looking at wonderful eyes of Tsubasa on the back of the case wearing this lashes! Good thing about Dolly Wink eyelahses are that they comes with eyelashes glue! and for that whole time, lashes stays on my eyes without falling off at all! Usually for myself, I can use one pair of eyelashes for at least 6 months! 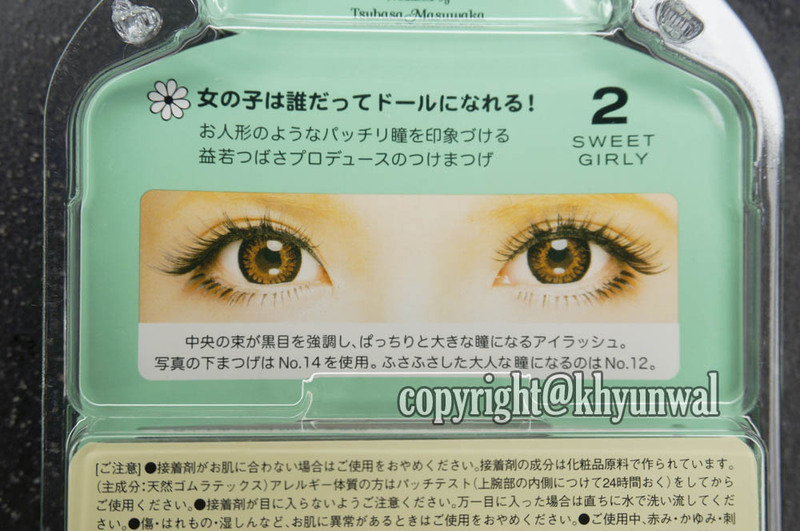 And since this eyelahses has clear wire, it goes along with any color eyeliners~! I think this particular lashes are good with creating dolly looking eyes!! this is way to go! I hope yu guys are having great day and great new school years!! Love your new lashes, you look so cute with them! I absolutely love how the Dolly Wink fits since I had such trouble with other brand eyelashes in the past! This worked out really well for me!